Live plants can do wonders for you and your home. If you are like me, you have a bit of a love/hate relationship with your plants (or lack thereof). I do love them - but need them to be easy to grow and care for! Indoor plants are not only beautiful, they also help clean the environment and air around them. From succulents to blooming houseplants, here is what I have learned to have plants thriving in my home - and now you can too! These low maintenance plants are the perfect starter plants. Especially great for busy homeowners, they don’t require much watering or care and add a nice accent to any room in the house. Have your local plant store put together a planter with multiple succulents - make it easy! Bathrooms can be prime real estate for humidity loving plants. Place your flower pot on gravel, loose rocks or sand to trap moisture and keep your plants happy year-round. 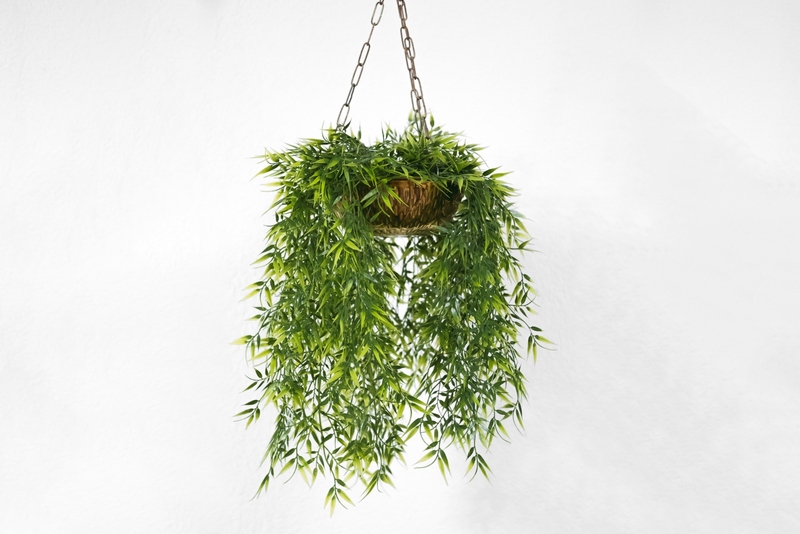 Rotate your plants from other areas in your home in and out of the humidity in the bathroom - it works! Your kitchen and cooking will benefit from kitchen herbs! Place them on your windowsill and use them in your favorite dishes. Parsley and basil are two of the easiest to grow. These are a household staple, especially if you find yourself looking at a screen all day. Other than purifying the air, they also prevent ocular hypertension. When you've had too much screen time, relax your eyes and take a break with the Golden Pothos. Note to self - buy several Golden Pothos for the office! Cacti are great indoor plants for those who can't seem to keep plants alive for long. Cacti don't require much care and grow all on their own. They require minimal watering, so keep these beauties out of your weekly watering routine! Succulents fall into the same category. Do have your local plant store choose several and plant them for you in a planter - talk about instant gratification! Snake plants, also know as mother-in-law tongues, are vibrant and fun, and also require little maintenance. They thrive on indirect sunlight, and flourish with a single touch. The best approach when caring for snake plants is to drench and dry, which can extend their lives significantly. Another plus: these guys absorb benzene, xylene, toluene, and keep your space free of toxic fumes. In the fall and winter, you’re most likely turning the heat up in your home. This could be a problem for plants that favor humidity or cooler temperatures. Be sure to keep a close eye on the changing nature of the plant’s water consumption and what climate they prefer. If you notice your plant leaves turning yellow or develop brown patches, consider purchasing a humidifier and moving your plant to a warmer or cooler location. You can also spritz them with a spray bottle full of water. Some plants need additional nutrients in the fall and winter in order to flourish. 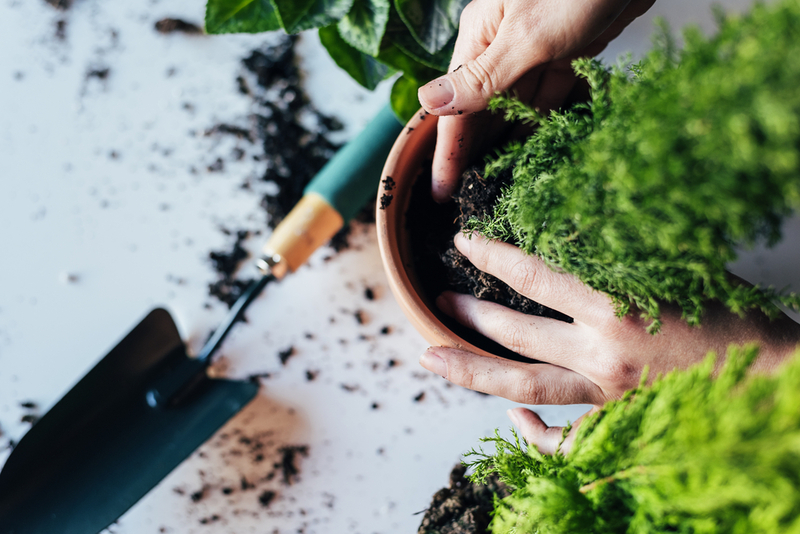 Not to worry, as this can easily be accomplished by repotting your plants with nutrient-rich soil, which releases nutrients over time. Some soil is specially formulated for indoor plants, which feature all the basic nutrients they will need to thrive inside your home. It may also be possible to amend the soil with good, organic plant food. Whether or not you have a green thumb, live plants can do wonders for your home's aesthetic and even your health!